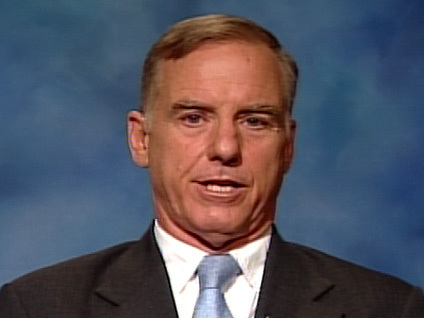 Former Democratic presidential candidate and Vermont governor Howard Dean, a hero to many liberals, has called efforts to build an Islamic community center two blocks from the site of the Sept. 11 terrorist attacks "a real affront to people who lost their lives." "That site doesn't belong to any particular religion, it belongs to all Americans and all faiths," he said. Dean, speaking on New York's WABC-AM radio, said he would like to see a compromise on the issue - one that includes moving the Islamic center to another site. He adds, however, that "people should be able to worship as they see fit." Dean argues that though the backers of the project are "trying to do something that's good" and integrate Muslims "into the fabric of the United States," the issue is "very delicate" and there should be a compromise "so that everybody is accommodated by this." Meanwhile, conservative Ted Olson, whose wife died in the terrorist attacks, broke with the majority of conservatives to support the project. He said he believes President Obama "was right about this." "I do believe that people of all religions have a right to build edifices or structures, or places of religious worship or study where the community allows them to do it under zoning laws and that sort of thing," he said on MSNBC. "And that we don't want to turn an act of hate against us by extremists into an act of intolerance for people of religious faith. And I don't think it should be a political issue." The positions of the two men prompted liberal commentator Keith Olbermann to write on Twitter: "I have respected and appreciated Howard Dean for eight years but he is completely wrong and uninformed about the Park51." "& Ted Olson, with whom I have usually disagreed, +whose connection to this is far more personal than nearly everybody else, is 100% correct," he added.